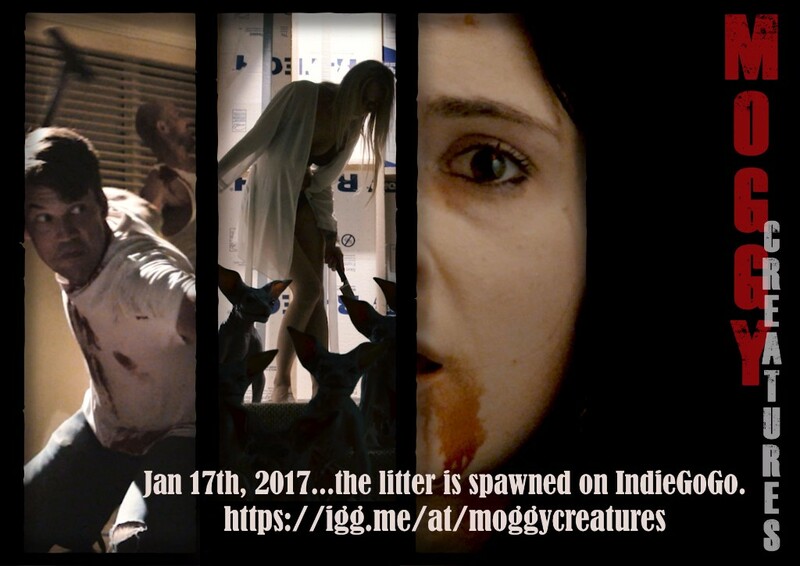 Following the hugely successful trailer launch last Halloween, the filmmakers behind practical FX creature feature "MOGGY CREATURES" have announced an Indiegogo crowd funding campaign to help fund production of the anticipated horror project and grow their fan base. For those who contribute to the campaign, director Scott Frazelle and his team are offering super fun perks. Do you want your very own, limited edition Moggy action figure? Perhaps a Moggy Muggy for your morning coffee? Or get the Ultimate Litter Box with you and your favorite kitty kat. Other perks include digital & DVD copies of the completed film, Moggy shirts, and VIP set-visit experiences. Check out all the perks, and follow the campaign for updates through February on the "MOGGY CREATURES" Indiegogo page today. 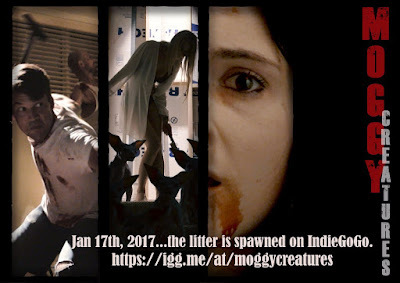 Horror star Sadie Katz (House of Bad, Blood Feast) leads MOGGY CREATURES, which follows Michael and Anna, a troubled couple who take in a stray cat hoping to rebuild their marriage, only to have the pregnant animal spawn evil monsters. "MOGGY CREATURES" hails from writer/producer Frazelle.